My Muddy Organiser has a safety blanket, not a literal safety blanket but a little friend who has always been by her side. Her Best Friend is the one she can always rely on, the one who has always been there to do things together with first, from preschool to school to ballet and birthday parties. Everything is always OK because she knows no matter what her safety blanket won’t be far away. Over the last few weeks I’ve realised that my gorgeous, soft-spoken Muddy Pixie has lost her safety blanket, she had one, just like my Muddy Organiser did, a buddy who has been there since she was a baby, and she still is there, but she has shot ahead in leaps and bounds and with her extrovert personality has made countless new friends and my Muddy Pixie has found this a bit too overwhelming. So, I’ve made it my mission to take a bit more time to help foster new friendships for her, to have some play dates with some other little friends to see if there is anyone she takes a shine to, another little girl that might be feeling lost like my Muddy Pixie is. Someone who can maybe be that safety blanket for her. It may not work, she may not like her, she may not like them, who knows what goes through their heads when they make a decision on something, but I figure it’s worth a try. It breaks my heart when I see her looking so lost and I would dearly love to put some light back into her life and give her that safety blanket I think she needs. Do your kids have a safety blanket, a friend they can rely on? Are they new friendships or old? Any ideas for good play dates? 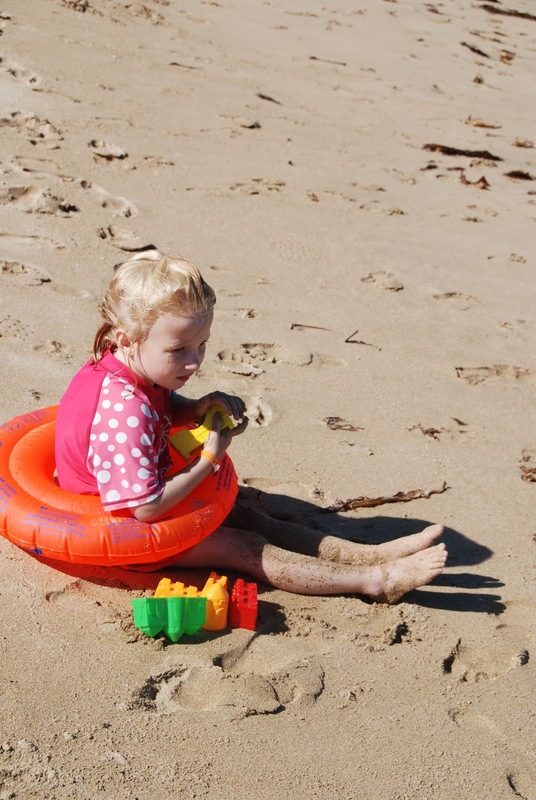 This entry was posted in Kids Play, Mother Angst, Muddy Pixie on February 26, 2013 by nat. Poor Muddy Pixie, it is so damned hard as a Mama to standby and watch on as your little people take on the big world. I am going through something similar right now with Angus, since he started school. He doesn’t seem to have found ‘that’ friend. It’s funny to even say it but he was like the big fish in the little pond at preschool, NOW he’s the little fish in the big pond. He had lots of buddies at preschool, but just the sheer size of his school now (147 new starters in Kindergarten) is extremely overwhelming. I have witnessed some borderline nasty behaviour from a couple of kids and it makes me realise that WOW, school is the real deal. Surprisingly, Angus is also very soft and unassuming when it comes to putting himself out there in social situations. I just don’t want to see him left behind, in the shadows.